I'm honored to announce a collaboration with Tom Stringer Design Partners for the highly anticipated, fourth annual Dreaming of Design at Chicago Luxury Beds. Featuring bedroom vignettes from Chicago’s top designers, the vignettes will be on display for the entire month of May at the Chicago Luxury Beds showroom. 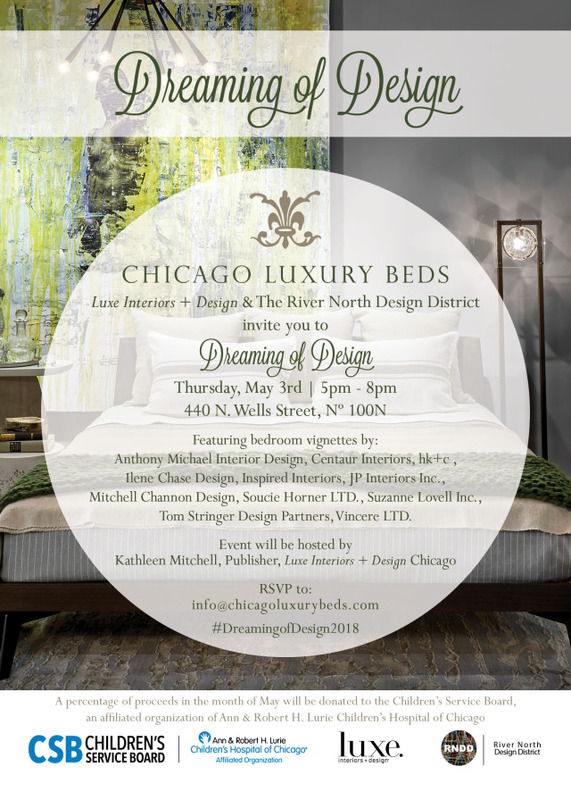 A portion of proceeds from Chicago Luxury Beds during the month of May will be donated to Designs for Dignity. Tom Stringer Design Partners brings the series to life. For more information on Thursday's event, click here.